Pungent, sour, cool, slightly toxic; lung, bladder and large intestine meridians entered. 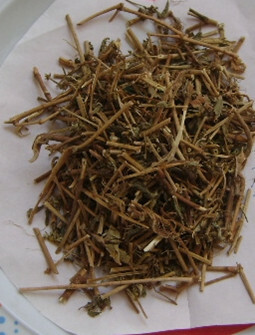 Clear heat and remove toxicity, promote diuresis and relieve itching, promote milk secretion. Sores and boils, dysentery, diarrhea, urine with blood, eczema, athlete's foot, heat stranguria, pruritus, hypogalactia, acute mastitis, pulmonary abscess, noma. Decoct 6~9 g. Proper dosage is for external application, decocted for washing.